Mr. Bohm practices in all of our main practice areas and has substantial experience in construction defect litigation, business litigation, trust and probate litigation and personal injury litigation. He has represented developers, general contractors, sub-contractors and design professionals in construction defect litigation. 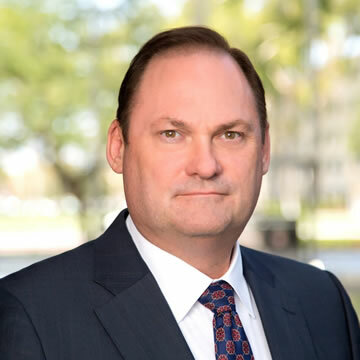 He has represented Fortune 500 companies in various complex business litigation, ranging from contract disputes to claims relating to divestiture of assets. He has represented both trustees and beneficiaries in complex, high dollar trust litigation. He has extensive trial experience with a proven track record. U.S. Supreme Court Bar of California, the State Bar of Washington, the United States District Court (Central, Northern and Southern Districts of California), the United States Court of Appeals (9th Circuit) and the United States Supreme Court. Recipient of the West Publishing Company’s Award for Highest Scholastic Average for the 1984-85 Pepperdine academic year. American Jurisprudence Awards in the areas of Contracts, Constitutional Law, Creditor’s Rights and Bankruptcy, Remedies, and Criminal Procedure. Obtained a $2 million award for a Fortune 500 client following an extensive jury trial in Los Angeles Superior Court where claims of over $12 million were brought against that client relating to the divestiture of one of its subsidiaries. Successfully represented Walt Disney’s grandson in removing the trustee from two trusts after a two week trial in Los Angeles Superior Court. Successfully tried a trust matter in Los Angeles Superior Court resulting in a payment of $500,000 a year for life to our client’s interests. Successfully defended a real estate agent alleged to have breached her fiduciary duties to her client by purchasing her client’s prospective property and obtaining a secret profit therefrom. No resulting liability attached to the agent. Obtained a fraud verdict against a publicly traded leasing company in favor of a major wholesale food distributor, in claims relating to the leasing company’s contract and selling practices. This was the first successful lawsuit in over 200 similar cases wherein a verdict against the leasing company was obtained. The leasing company was represented by one of the nation’s top law firms and spent over $5 million in attorney’s fees. Successfully defended a company that was alleged to be a joint venture partner with a debtor company, in an action brought by the debtor company’s creditor, resulting in no liability to the client. Obtained a jury verdict in excess of $300,000 for a property owner client whose property sustained water damage from an adjoining landowner. Obtained a complete defense verdict after a six week jury trial wherein our client, the president of an automobile manufacturing company, was accused of fraud, conversion and securities violations by an investor in and creditor of his company. Plaintiffs sought over $12 million in damages and were represented by a nationally known trial lawyer. It was reported that this attorney had never previously “lost a case”. Plaintiffs spent millions of dollars in prosecuting the matter and had up to seven lawyers representing them at trial. Our client had only one lawyer defending the case: James G. Bohm.